A few months ago, I was commissioned to write a new fantasy skirmish wargame for Osprey's Wargames series. And today, I've been given permission to show off the first piece of completed artwork. This shot depicts a Chronomancer, one of the ten different wizard classes in the game. I hope you like it. Unfortunately, it is still a long time before the game sees print (early 2015), but if you'd like to know more, I've written a couple of blog posts about it. I'll try to keep you updated as I have more news to share! You might need to alter some permissions or something on your last link. Hmm...not sure what went wrong with my picture there. It was working earlier. I'll try to get it fixed, in the meantime, clicking through the second blog link will take you to it. Jerram - I basically mean 'the rest of the warband'. Most warbands will consist of a wizard, an apprentice, and around 8 'soldiers'. There are going to be a dozen or more soldier types. While they don't gain experience like the wizard does, they are all individual figures and can act independently. Oh, and depending on what spells the wizard knows, the warband might also include a creature - an undead, construct, demon, or animal. Amazon.com lists a March 24, 2015 release date of this 96 page hardback (Kindle version) which co-insides with Osprey Publishing's announcement linked below. I am eager to try this one out. Mordheim replacement at last? I suspect the rules will be similar to other Osprey skirmish Wargames. I have enjoyed the pirate flavored "On The Seven Seas". North Star Military Figures (http://wargameterrain.blogspot.com/2014/11/northstar-miniatures-plastic-and-metal.html) is doing the official miniatures but I'd say most here have 5 to 13 suitable 28mm fantasy miniatures for this fantasy skirmish game. Release date has been pushed back to July 2015. The next project between North Star and Osprey Games will be Frostgrave. Frostgrave is a Fantasy Wargame. Teams of Wizards and their henchmen battle over lost magic artefacts in an ancient frozen city. We will be producing in partnership with Osprey a range of metal figures and, for the first time from North Star, plastic figures for the game. Lots more news to come of course, and there will be a Nickstarter pre-order program offering you lots of bribes and pressies to place your order early with us. This will start in May. Official release date for Frostgrave is July 2015. 5 basic torso with legs, with loads of different arms carrying weapons, loads of heads, shields, equipment, bits of old rope etc, no two figures will ever be the same! Might see a few of the scuplts at Salute. It's April! Tell us more! MOAR! They had me at "plastic". This had better not be an April Fool's day thing. That would be cruel. I can't wait for generic fantasy plastics! Like some sort of modernized empire militia box set. I am full of happy thoughts just considering the possibility that it might come true. Definitely think there is room in the market for small skirmish, fantasy-type games, am keen to see what this turns out like. I have to say, this is probably the miniatures game I am looking most forward to. It will be really nice to have a campaign ruleset where I can utilize nearly all of my fantasy miniatures (at least from the battle reports - it seems to be a pretty open system). I also really dig the Wizard concept and the huge variety in spells. Can't wait for July. Also if Amazon is to be believed (which the coverart looks pretty convincing) it looks like an expansion called " Thaw of the Lich Lord," is planned for a November release. Nice to see Osprey and North Star intend on adding material to the rules over time. Kindle edition is a nice touch as well. I love my Kindle as I have the rules to pretty much every game I play (as well as some I aspire to play....someday) all in one place that is easily portable to friend's houses and what not. 10 figures a side. You aren't allowed any more. Picture of plastics (I think). Yes, early Medieval. But because Frostgrave is cold, they are wrapped up and wearing layers which makes them unique. You could use them as Starks and Outlaws as well as Frostgrave Soldiers. I've read the rules and played 4 games with citadel miniatures I had laying around the house. I have a soft spot for fantasy skirmish games and think this one will do very well. Shades of Mordheim for sure. Wait - it's out? Or were you a playtester? Its not out yet. I participated post play testing. There are 10 new Wizards and ten new Apprentices. We'll be showing them very soon. I am very excited for this. I don't generally like high fantasy, but I could get into this if the rules are good. Either way, I'm very excited for the plastics. I keep on coming back to look at that tiny thumbnail pic posted above and try to make out more details. During April, we'll start showing a Wizard every day from the forthcoming 'Frostgrave' range. There are 20 of them. There are two per school of Magic, one is a Wizard, the other an Apprentice. Each School has it's distinct character and spell book. Basic henchmen are the same, which is what the North Star plastic figures are for. Different wizards can magically enhance them with their own spells to keep in the character of their 'school'. A couple of weeks ago it looked like it was all going wrong for us at Salute. The Warlords hadn't booked in our big 1672 game, so we weren't going. But then one thing led to another, and now we'll be running a participation game of the new Osprey game 'Frostgrave' in the Wargames Illustrated area, and I'll have the painted display of Kev's painted Frostgrave figures on the Osprey stand, including the plastic figures. I'll be hanging around both areas if you want to pop along and have a chat. Designed by Mark Copplestone, painted by Kev Dallimore. Metal figure designed for use in the game Frostgrave. Metal figure though, brace yourselves for the incoming metal hate. Metal is the new restic. Not really, just felt obligated. Metal's OK. Grumpy Santa indeed. He looks great. He's got his comfy slippers on though, best beware. I'll take human sized 28mm Heroic etc. miniatures in metal over 'restic' any day, all day long. Metal is okay if it doesnt involve fiddly bits, either to glue or to bend... that said, nice mini. Any thoughts on how this feels as a generic fantasy rule set? Do all the war bands feel a little similar with the wizard/apprentice structure, or could you replicate something as diverse as a Confrontation war band in some way? Metal's fine. Just don't expect me to buy it. I do hope we hear more about the plastics before I lose all interest in the project. Well, they'll be showing a wizard everyday for the rest of the month. The plastics will be on show at Salute on the 25th, and there will be a Nickstarter in May before the July release. Nickstarter = "Nickstarter is the pre-order program that we'll be doing for Frostgrave and related miniatures in May, for the July 2015 release of the game. Okay, the name is tongue in cheek, but seriously, we'll be taking some ideas from crowd funding to reward those of you who show confidence in our new project by committing to pre-order the game and miniatures before it's release in July. Look out for more details in May!!" Is nickstarter a site? Based on my googling, I'm guessing no. I've not heard that term before. Who's Nick? I'm wondering how much of a warmachine / hordes feel this might have. I'm hoping there will be fewer mind-warping, analysis paralysis inducing moments that warmachine has wrought on my social circle...! Nick Eyre's is the owner of North Star. He just calls his pre-orders Nickstarter. I've not pre-ordered before during one, but I seem to remember some good deals. Designed by Mike Owen, painted by Kev Dallimore. Designed by Mark Sims, painted by Kev Dallimore. In this fantasy skirmish wargame, wizards battle amidst the frozen ruins of an ancient city, in the hopes of discovering the treasures of a fallen empire. Players take on the roles of wizards from one of ten schools of magic, and build their bands of followers. While the wizard's apprentice will usually accompany his master, more than a dozen other henchmen types are available for hire, from lowly thugs to heavily armoured knights and stealthy assassins. Wizards can build their magical knowledge by unlocking ancient secrets, with the potential to learn up to 80 different spells. As players gain power and wealth, they can develop their headquarters on the outskirts of the city, turning basic locations into bastions of their art and equipping them with alchemical laboratories, mystical forges, astronomical telescopes and other magical resources. While individual games of Frostgrave are quick and can easily be played in an hour or two, it is by connecting these games into an ongoing campaign that players will find the most enjoyment. The scenarios given in the book are merely the beginning of the limitless, thrilling adventures that can be found amidst the ruins of the lost city. Oooh, I like that witch. Very interested in this game, and that guy makes me moreso. Those models look fairly dated in style and execution. It makes me concerned about the quality of the plastics. The sculpts seems a bit hit or miss so far. Luckily there are plenty of alternative magic user models if I don't like Northstar's version. Really like these models. Classic styling and in metal. I'll be looking into this when it launches. A sprue for making 5 henchmen, from what I understand. An Empire Militia style sprue for non GW gamers from the sound of it. Designed by Nick Collier, painted by Kev Dallimore. Those models look fairly dated in style and execution. I don't disagree, but I think they might look a bit better without the Kev Dallimore "Stripes! Stripes and button-knuckles and harelips and sapho juice everywhere!" painting style. It's starting to feel like God of Battles all over again. The painting style definitely does subtlety no favors. I might just grab the rules and proxy the miniatures, they are not bad, just not very dynamic. It is by will alone I set my mind in motion. It is by the juice of sapho that thoughts acquire speed, the lips acquire stains, the stains become a warning. It is by will alone I set my mind in motion. I think Kev Dallimore's style is impressive to historical or older gamers who think a quick, mucky basecoat is all you need (I know a few meself) but for advertising new fantasy minis in today's market, it looks distinctly 'sorta-alright tabletop standard'. I'm hoping the plastics feature some fur lined coats or hats. I just think they tend to paint up really well. The necromancer is my favorite metal shown so far. Fulfilling 2/3rds of your criteria there I resent that. His style is bloody awful and does those minis no favours Im sure. Picture from yesterday's newsletter from North Star. Are all those photos from North Star? Are they being shown off with any other details about the game? A search of their site (http://www.northstarfigures.com/) provides no hits for "frostgrave" and I'm very curious to learn more about the game! North Star is doing the figs, Osprey is publishing the book. That being said, there isn't much they have to say about things yet. I really like a lot of these sculpts, and the other Osprey rules I've read have been excellent (In Her Majesty's Name, Lion Rampant, Ronin). Yeah I think it's a really good initiative that Osprey are doing, I've got several of the books. Helping some aspiring and other rule writers get their ideas out there in an easy to access format, you're seeing a lot of ideas that would otherwise might have been restricted to be read a few dozen times on reddit or a blog. GUESS WHAT WE PLAYED LAST NIGHT? Away from the office and after the end of the working day, WI staff are often only armed with the vagaries of the camera 'phone. Hence, these shots aren't as good as we like BUT do give a flavour of both and upcoming rule set and a showcase game to be found in the WI 'Zone' at Salute 2015. Many thanks to Osprey and the North Star Military Figures crew for the chance to 'have a go' at adventuring in the city of Frostgrave. Hey guys, the author here. I'll try to answer any questions I can about the game. It is perhaps worth noting that the demonstration game being run at Salute is a slightly simplified version of the game. In the full game, starting wizards will have 8 spells, and their warbands will generally contain an apprentice and 8 or so mercenaries. Is he pinwheeling his arms? Do Wizards have any equipment that need to show on their model? Any non-human replacements for henchman? For example Necromancers and various undead like zombies or skeletons. I've got questions on how the game will be distributed, and how stores can carry it. Historically, i haven't been thrilled with Ospreys track record with getting games to stores a couple of months after they sell them at shows, direct, etc. Will they be sending this through normal game distributers such as Alliance or E-Figures? And if so, when in comparison to their release date? Wizards and their apprentices do not need to be WYSIWYG so long as your opponent is told what they are carrying. The soldiers do, since that is the mainly way of telling them apart. It is possible to replace some of the soldiers with non-human henchman including undead, demons, constructs and animals. That said, you won't see an 'all undead' or 'all demon' warband. From what I know - the only show that Osprey will be selling the book at 'early' is historicon, which is only a week before the actual release date. Otherwise the book will just be made 'generally available' to everyone at the same time (though sometimes the UK book gets out a bit before the USA just because of how long the books takes to reach those places from the printer). This is often a week or two before the actual release date. As far as I know Alliance will be carrying the book - although that's Alliance's decision, not Osprey's. If you are a store and want to carry the book, I would just call Osprey directly. Definitely looking forward to giving this a try at Salute ! What is the required board size? 4'x4'? 3'x3'? How much will the book and miniatures cost? I really like most of the wizards shown, but I have a hard time getting over their hands, which are all pretty poor. Can metal miniatures have nice open hands? Or are they limited to hotdog hands by the medium? I'm asking sincerely, I don't have many metal miniatures, and the ones I do are holding stuff. I really like most of the wizards shown, but I have a hard time getting over their hands, which are all pretty poor. Can metal miniseries have nice open hands? Or are they limited to hotdog hands by the medium? I'm asking sincerely, I don't have many metal miniatures, and the ones I do are holding stuff. Good point, I had forgotten about the infinity range. Maybe they have to have bad hands by virtue of being produced by a historical gaming company. Grognard grip or something. Either way, I'm still excited about the game, and I've only ever heard good things about Osprey rules. Also, PLASTIC! When do we get to see the plastic? Maybe this takes place in some sort of post apocalyptic Simpsonian universe, and every wizard just keeps slamming his fingers in car doors or catching them in mouse traps? Roll against dexterity before your fingers swell level reaches critical! Maybe some sort of balm is what they are all searching Frostgrave for? The apprentices are just there to open doors and other tasks you can't accomplish with hotdogs. joe5mc - Is Frostgrave going to be one of the small format paperback "Osprey Wargames" series for about a tenner (like IHMN or Lion Rampant), or the larger format hardbacks usually produces in collaboration with other companies like Force on Force or Bolt Action? Somewhere in between! Format wise it is going to be hardback and the same size as Bolt Action. However, it is near that long. I believe it clocks in at 144 page. The really good news - it's retailing for £15/$20, which seems like a great deal to me. There is still the open question about board size; I'd like to know that too. Also, how terrain heavy and detailed will it be? Should we expect a fairly terrain dense table with lots of rules, or will terrain be largely ignored as impassable, woods, etc? I would suggest 3' x 3' board. Although I've seen games on both 2' x 2' and 4' x 4'. Terrain should be pretty dense on the table. Open lines of sight tend to make the wizards even more powerful. That said, the rules concerning terrain are pretty simple. Unless stated specifically by a scenario. All terrain can be climbed. ...And have a tendency to break if mishandled. I'll take the detail any day but it has downsides. A friend of mine *cough* cut some off by accident though once, thinking they were flash. Loving the design aesthetic of these so far, and looking forward to seeing what the plastics turn out like. I really like all of those apprentices, especially the guy with the hammer. The veiled lady looks like she just watched her master get ripped to pieces and then eaten by a monster and she isn't quite sure what to do next. I dated her. Wouldn't do it again, but oh the memories. Anyone find any Salute coverage? THanks for that link, plastics look great! This is shaping up very nicely. It will be difficult to resist! So the "Nickstarter" is in about a week then? They look like fun. The price seems a bit high to me, but not forbiddingly so. I can't wait to see some sprue pics. £1 a mini seems not very high at all to me! I guess I read that as "$35 for 20 minis" or about what the GW Imperial Militia set costs for the same number of minis. Like I said, not forbidding, but it will certainly make me look longer at the sprue and the production minis before I indulge. I think that's a pretty reasonable price, even when compared to the GW militia. The Militia is only 16 models a box, and has a lot of (in my opinion) bits that aren't very useful (most of the piratey ones and the trenchcoat) without conversion. These guys look to be considerably better sculpts as well (though they definitely should be, considering how much later in time they were sculpted). That said if the sprues don't allow much modularity that could definitely kill the set. I count five different torsos, so there should be some good modularity in the set assuming all the arms can go with all the torsos, which it looks like they can. I can't for the life of me figure out what the guy with the two handed sword has over his other shoulder. A bag with a single potato? All in all the 3ups look very promising. I will be buying some for sure if the sprues are decent. Since they are using 3ups, there is a really good chance they are manufactured by Renedra, so at least the detail should be good. I can't wait to see more. Do I get some sort of discount for ordering through the Nickstarter or whatever? These look wonderful, very characterful and quite a different sculpting style. Think this is quite possibly going to get me to get the old Mordheim terrain out, possibly even get to work on a snow-themed board! I like the look of those militia/henchmen, they would be very useful for RPG's. So when is this going up for sale again? Plastics are from Renedra, if I remember correctly. Preorder in May, on sale in June/July. The first fantasy skirmish game to accurately represent digit loss due to frostbite. Have to say that the plastic look only adequate. The Empire Militia sprue did the same thing (with more convincing detail in some cases...is he carrying an old yoga mat over his shoulder?) almost twenty years ago. Long ago, the great city of Felstad sat at the centre of a magical empire. Its towering spires, labyrinthine catacombs and immense libraries were the wonder of the age, and potions, scrolls and mystical items of all descriptions poured from its workshops. Then, one cataclysmic night, a mistake was made. In some lofty tower or dark chamber, a foolish wizard unleashed a magic too powerful to control. A storm rose up, an epic blizzard that swallowed the city whole, burying it deep and leaving the empire as nothing more than a vast, frozen wasteland. The empire shattered, and the magic of the world faded. As the centuries came and went, Felstad passed from history to legend and on into myth. Only a few wizards, clinging to the last remnants of magical knowledge, still believed that the lost city had ever actually existed. But their faith was rewarded. After a thousand years, the fell winter has passed. The snows have receded, and Felstad has been uncovered. Its buildings lie in ruins, overrun by undead creatures and magical constructs, the legacy of the empire's experiments. It is an evil, dangerous place. To the few hardy souls who inhabit the nearby villages, the city has acquired a new name, 'Frostgrave', and it is shunned by all right-thinking people. For those who seek power and riches, however, it is an unparalleled opportunity, a deadly maze concealing secrets of knowledge long forgotten... This new fiction anthology collects ten stories of wizards and adventures as they venture into the ruins of the Frozen City. There is an article in the new issue of WSS about Frostgrave combat. It uses a D20 + modifiers vs roll to determine who wins that round and then the winner's roll + modifiers vs loser's defence/armour. Difference in the attackers favour is HP damage. That sounds rather cool, hopefully there will be enough depth to the unit stats and combat befitting a skirmish game. Have there been any pics of the plastic sprues yet or finished articles? Not seen anything yet on the actual plastics, but the Nickstarter will be starting either this weekend or early next week according to comments on Facebook. Will they be showing some actual confidence and publish that book in paper, or is it just another ebook to download and ignore? If you're going to ignore it don't even bother downloading it - then maybe they'll put out hardcopies. The rule book is going to be printed on actual dead trees, right? I don't care about the novels one way or the other, but I definitely want a rule book to be in sigil on dead tree format. I would accept sigil on flayed and cured skin format, but I doubt I would want to pay full price. If it's free, I'mma download it alls. Can't stop me. How will they even know if it's successful as a free download? If it's not free, then it really is just a sad commentary on how little they value their worldbuilding. "$5 will let you buy your son's (or grandson's) story collection so that you can tell him how proud you are." I thought dead tree format is going to be an option, isn't it? The rulebook is going to be a hardback Osprey book. Why would it not be in hard copy, Osprey have released probably a dozen rulebooks in this format over the last couple of years. They are a publishing company! I just wanted to make sure " publish that book in paper, or is it just another ebook" did not refer to the rule book in some capacity. Even publishing companies sometimes shift to ebook only! So why is I-Bob all a-worried then?!? I was talking about the Frostgrave anthology. Anthologies are the red-headed stepchild of the publishing industry. I wouldn't be surprised to see it limited to ebook format. I have plenty of Osprey publications, but they don't tend to be prose fiction. Tales of the Frozen City will be available as a paperback - in the traditional Osprey series book format, or an ebook for those that prefer. What is the Frostgrave Soldiers box set all about? + selection of bags & equipment. This means you can make 100's of unique figures, no two wizards band should ever be the same. There are also a selection of 'specialist' soldiers a wizard can recruit in Frostgrave, each with their own abilities, but cost a bit more to 'employ'. We have eight metal models of these ready for the launch of the game, the two below are the Thief and the Barabarian that Mark Copplestone has made for the range. Well have to say think those look brilliant! Very cool style (almost cartoony, or something from World Warcraft), I don't mean that in a bad way but it's certainly distinctive. Will also help differ it from the number of high quality historical ranges. Cracking paint job on the studio miniatures as well. I think they are 3 ups in that picture of the plastics, but they are going to be a useful little set anyway. That'll be a nice little set to pick up, just to make some random characters and kit bash if they line up well with other 28-32mm ranges. Looking forward to all this coming out! Any word on a date for the Nickstarter? Yay, paper! I hope the stories really give a good account of the feel of the setting and the focus of the game. That would really make the plastics a must-buy. Y'know I' suddenly interested, I'll have to see the sprues of course. Haven't most of the osprey books been avalable in both ebook and paperback format? I see this question has been answered earlier. Ooops. This ruleset looks worth picking up and using with models I already have. Just nee to find a Japanese looking wizard or two. OK, wow, this game has me really intrigued. TL;DR: Are there any issues going on with this? Delays and such? Wow, this looks awesome. Not a fan of the Chronomancers and the Soothsayers, and the Conan esque barbarian doesn't do it for me though I can appreciate the charms. The plastics look amazing. Anyone got any ideas of other ranges they mesh with well both on an aesthetic and scale level? I can see what you mean about the chronomancers...I would just use a mini of Raistlin Majere. Will definitely be ordering soon! Think I'll go for the lvl3 option. The Nickstarter doesn't seem to offer an option to buy just the anthology paperback and a box of plastics. Even if it did, nine pounds shipping seems a bit excessive for items that will certainly end up discounted at Amazon Prime and Miniature Market. I wish them luck, but it looks like I must wait until July. Are you saying they won't be attending that hat convention in July? Or do you mean that people who step back from a crowd-funding venture for whatever reason are unlikely to re-engage with the product again when it hits retail release? That if I don't buy in for the preorder, I am unlikely to buy the product ever at all? Yeah, 75 USD is more than I am willing to pay for a box of plastics and rules of unknown quality. I value the metals at roughly two bucks a pop, and the rulebook at twenty. That leaves the plastics to qualify for fifty bucks worth of value. I can buy GW stuff I know the quality of right now at that price. It's not really a kickstarter in spite of the name. I'd say it's closer to one of the Steam preorders which bonuses to encourage preordering. I placed my order. The preorder release date should be the 6th of July and the general release 20th of July. I'd be interested in knowing briefly what each school of magic is like. Some I can guess but I'm not really sure what quite a few do or how you'd represent those spells in the game. and click on each of the wizards, it gives a little blurb about them. Ah, I did that before but I just got the full sized pictures. Enabled the script and I can see it now. It's a shame the NS is a bit pricey, I'm in for the 40GBP level ($75 US once shipping's factored in) for a pair of metal wizards, a rulebook, and 20 plastic dudes. Here's to hoping the NS "stretch goals" add some value. Is there a video around that shows the game being demo'ed? I'm not up for starting another fantasty skirmish game but the plastic multipart figures are beautful. If they are available at a reasonable price, I'll be happy to pick them up. Is it just me, or does the guy in the bottom right hand corner llok like he has Andre the Giant's face ? Also, is it just me or does that Ice Toad look like he used to have a job sitting outside of Jabba's palace? What are the other Fantasy skirmish games out there now? It isn't just you - now that you pointed it out. Nearly £7000 added to the Nickstarter as off yesterday. Buy before 15th of June and get your 'Early Bird' free shipping in the US / Subsidized shipping Canada bonus! Note - that we have to adjust the shipping manually after the order is placed.. But what about new minis that are unlocked? Will we not be able to add them if we go this route? As our Spend Goals are reached, Level 3 Wizards will receive all the free unique models that are released with those goals. Wow, so buying with Brigade is cheaper, and shipping is free until June 15th for us US-based folks? It's not clear that's the case on their website. If so, I'm bummed I already backed through North Star! Ah well, subsidizing NS so they can make more cool games... There's worse mistakes to make! Seems like you can add currently unlocked add-ons like the Toad and Snow Leopard, but what about when the Demons and Constructs get unlocked? North Star will apparently let you add them, but Brigade is unclear. And do orders through Brigade count toward the total? The shipping part is mentioned at the bottom of the description of each wizard level. As for how it works I'm not sure, never used Brigade Games. If we pre-order this via NS, how does it work? Can we add stuff to our order up to the time when the game is supposed to ship? Or do we pre-order it all now? And, when is the pre-orer money collected? I've ordered from them so this is what I know. Once you order one of the wizard level preorders you'll get a link to the addon store page in your confirmation email (Which took a while to arrive for me). You can buy addons there which they claim will be added correctly to your order. If you want to change your wizard level then I think you'll need to email them. Addons count towards the spend total. You can add stuff until the 29th of June and the estimate dispatch date is the week starting 6th July. They say they'll collect payment right away. I've not been charged yet but they might be slow. Thanks durecellrabbit - much appreciated! The 3rd Spend Goal has been hit! That's a free Magic Weapon rack to use as a superior Treasure Token in the game for all Level 3+ Wizards, and a new pack for all Nickstarter Wizards to buy, the small and medium Constructs. Is anyone planning on using non northstar wizards for this game? if so mind sharing what you are considering. I am considering the following along with Samurai models. Guy on a cloud mostly for lols. To be clear none of these are from Northstar. I am getting one wizard-apprentice set, but haven't decided which yet. I also have a ridiculous amount of Reaper Bones. It's high time some of those guys got used! There are some nice models from North Star's range as well that would work http://northstarfigures.com/prod.php?prod=5907 but those ones you shown are lovely! The figure packs Northstar are selling don't include any rules or cards necessary for the game, do they? That is, everything we need to play is in the book, right? I *think* that's the case, but it sure would be a bummer to not be able to run a wizard because I didn't pick up his figure. I actually just used Hero Forge to make some alternate wizards after looking at the NS. How important is having the various addon monsters? To follow up/clarify: the rules for all these dudes, will they be included with the model, or in the rulebook? I'm guessing we can proxy any model we want - I sure hope they aren't coming with a card or rules insert we'll need to use them! First Look at the small and medium Constructs. The Medium stands a head taller than the Wizards. Absolutely love some of the designs coming out of this game, the pumpkin-head guy looks really good. Every other release Osprey have done has just had the rules in the book. The Constructs have a fantastic Wizard of Oz kind of vibe to them. Just to be clear - the stats and rules for all of the monsters are in the rulebook, and you are encouraged to use whatever models you want to represent them. Most of the monsters aren't necessary, and are only there for specific scenarios or if you want to use random encounters. However, a few of the monsters can be specifically summoned. So, if you are playing a necromancer, you'll probably won't to have a zombie miniature or two. A summoner is going to want some demons, and an enchanter will want constructs. Assuming of course, your wizards knows those spells. I am in the US but am unsure if I should order via Northstar or Brigade. Northstar gives access to add ons as they are unlocked, but Brigade doesn't look like it's offering the currently unlocked Demons and Constructs. They also have a bunch of items not mentioned on the Nickstarter page. I would just order via the Nickstarter page but Brigade has a good price and free shipping. Really glad to have you on board. I would guess that this is just a timing issue. Both the North Star and Brigade site have to be manually updated. The Nickstarter has blown through the first spending goals so quickly, I would guess that the Brigade site just hasn't kept up. I think you will probably see the Demons and Constructs added in the next couple of days. On the Northstar side - once you have ordered one of the five levels, you are sent a code, which lets you into a new section of the Northstar website where you will see all of the add-ons that you currently see on the Brigade site. In theory, there shouldn't be anything that you can order from one, but not the other. They are both good companies, I've ordered from them both personally, so I wouldn't worry on that score. If Brigade is offering you the better deal, I would go with them. Give it a day or so and I would suspect the new items will pop up. If not, just email Brigade and I'm sure they'll work it out for you. If the difference is 'only' $11 (all shipping? ), I think I'd go that way too - as you say, piece of mind is worth $11! There's no exchange rate shenanigans hiding in there too though, right? 120 quid (level 5 plus shipping) from the Nickstarter equals about $188 at the current rate. Brigade has it for $177 with free shipping. Only other thing you really have to be careful of is if your bank charges a foreign transaction fee. Thanks. My collection of random fantasy monsters is rather non-existent so I'll think about picking some of those up. The Frostgrave Spend Total has gone over £10,000. This means every level 3+ Wizard will be getting the new Weapons rack for free, and the Constructs pack is available to buy by any level Wizard. We won't be updating the total again until Tuesday morning. Current spend is just over £14,000. This is very cool. Congrats to the North Star team, this looks like it's going quite well. @RobertsMinis, are you working with North Star? (apologies if that should be obvious...) Out of curiosity, how does this nickstarter compare to others that have run for similar(ish) games? The previous big one was In Her Majesty's Name. Unfortunately, I can't remember what it eventually made it up to. I have a feeling it was right around where this one is now, though I could be wrong. That one had a more expensive top level though as I think it included six different sets of miniatures...? I think. No, I don't work for North Star, just like the look of this game and spread the love when I get a few moments. Thanks both! I'm enjoying the love I'm seeing spread. There is a feature on the final book on Beasts of War, looks very nice! Any body have any idea when we will see the second plastic box set revealed? I haven't been convinced to jump into this yet, but I would sure like to be convinced by an awesome surprise plastic boxset. My guess is that it is the same sprue as the other box set, but with bagged heads like the one picture shown on facebook. Spend Goal 5 reached in the Nickstarter. Hurrah! A big thanks to everyone who has participated so far. The Big Demon is available to pre-order now. Pictures will follow soon of the figures. You may have noticed we don't have anything after spend goal 6. There are plans, I think you'll like them! Total at £15,670. Not much new to add at the moment. The 'battle report' I read the other day makes this game seem like a lot of fun! 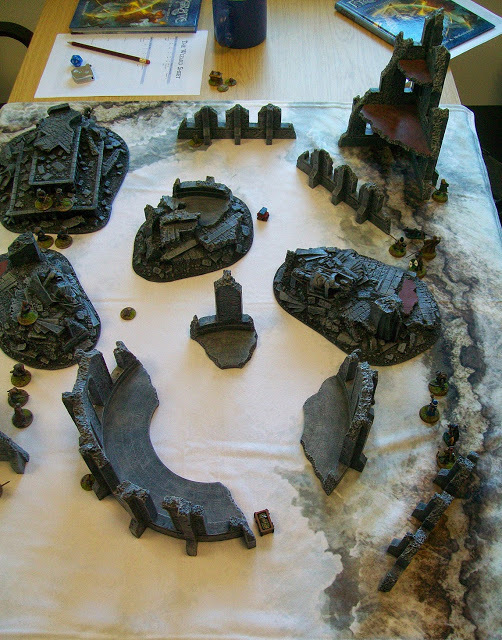 reading the battle report it looks like a wizard driven mordheim on a d20. Which is ALL types of awesome in my book. Plenty of activity over weekend in terms of spend... Total over £17,000. I still have to add a few things. Well I preordered, but it was through Firestorm games. Well I was warily excited for this from the concept and artwork/mini mockups but after reading that battle report and a few other articles on the blog, I am super excited now! I went all in for the preorder and I cannot wait to get my hands on this stuff. It says on the Frostgrave Nickstarter site that preorders will get the stuff early but I wonder how early that is? My pledge has already been taken, it wasn't taken straight away, taken about a week afterwards. I've already pre-orderd the rulebook from Amazon. Now I'm wondering if I should cancel and buy one of the nickstarter packages, or just wait for the book so I can make a more informed decision as to which wizards I might want. It's too bad the packages just from 1 wizard/apprentice set to all 10 wizard/apprenice sets with nothing in between. I think ideally I'd want to start with 2 wizard/apprentice sets, so I could introduce others to the game without them having to buy into it first. You can do that by buying a 'lower level' and then just adding on the other stuff you want. So, the important question for me is: Will I get the book sooner if I get it through the Nickstarter (via Brigade Games) than I would if I add it to the Amazon order I'm about to make? I've no real interest in the figures, so adding to the spend total means nothing to me. Edit: That sounds a bit more harsh than I intended it. I really just mean that the ability to get bonus figures through the Nickstarter is not important since I'm only after the rules. Very psyked for that henchmen sprue. Now if only someone would do a sci-fi version. That sprue does look really interesting. Sorry if I missed it, but has there been any scale shots of these minis? Would be interesting to see how well they'd mix with other stuff. As for the Amazon vs. Northstar Debate - I would say definitely go with Northstar. Northstar will ship the book as soon as they have it, which is often a couple of weeks before the official release date. Amazon will wait for the release date. Also, and here is a dirty little secret about Amazon. They often don't order enough copies of a book in a advance to cover their own pre-orders. If the book happens to sell out - they send the customer an email saying that their order has been delayed because of the publisher! Northstar will get the book to you quicker, with less risk, and youi get the free treasure tokens. They are meant to scale with and be compatible with FireForge games foot troops. I haven't been this excited about a new game in a long time. I ordered the level 3 deal direct and even though It's going to cost a bit more in shipping, I figure there's a chance that I'll get it sooner than if I ordered via Brigade (I could be wrong, but I don't think so) and I really want to see this asap. Not like it matters, of that it is important, but can you imagine how much more they would've pulled in via an actual Kickstarter campaign? I'm really looking forward to this one too - but I might just have to settle for a 'rules' only pledge at this point. The Nickstarter is over £20K!! That means the Large Construct is available to order. What are the next Spend Goals, we'll announce that tomorrow. I couldn't imagine a Necromancer with a Construct spell would want to mess about with hammer and nails, and bits of sacking, like the Enchanters would. So we've made the nastier Wizards a flesh Golem for their Construct spell. He'll come free to every Level three and above Wizard if we hit the next Spend Goal. Looking forward to seeing that second plastic sprue. Any hints on what the second plastic sprue will have on it, and at what level it unlocks? Supposed to be revealed once it hit 20k, I'm assuming it's what will be shown tomorrow. No idea what it is. Where are they announcing all the latest news? I just come on here, Robertsminis is usually on top of things! I just steal everything from Nickbook...err.. I mean Facebook. North Star also do Twitter, for those who like to tweet! Apologies for my ignorance, but are those GW sized figs, or more true scale? I'm not sure we've seen any proper scale shots/comparisons with other manufacturers miniatures though. I'd bet they're not as 'heroic' as GW's stuff, but not quite 'true 28mm' either. Also, weren't we supposed to know the next goal by now? And the details on the next plastic sprue too?!? It's still "today" in the UK for another 10 1/2 hours. "Today" is half over in the UK - time to get moving already! Today we are taking a look at Frostgrave, a new game from Osprey Games written by Joseph McCulloch. Osprey games you say? who are they? I am sure you all have heard of Osprey publishing, they produce fantastic historical books full of great pictures and detail. Now they are expanding the gaming arm, and have a rather nice and growing selection of wargame rules, which is pretty useful as you can find a book to go along with any their historical sets nicely, take a little look at them here. So lets take a look at the book itself, its hardback, full colour glossy pages, full of beautiful artwork, and a fantastic front cover, not a rulebook to be ashamed of that's for sure, Ospreys great production is apparent through out the book. At its core, its a fantasy skirmish warband game. The closest I can imagine it to is my old favourite Mordheim. You pick a wizard, and a warband, and go completing scenarios in a campaign gaining upgrades and funds to spend on gear to improve your warband. That is it at a basic. Does it do it better then Mordheim? stay with us to find out! There is no index, but a solid table of contents. And so far unlike a lot of books I have found it easy enough to navigate via that as it is very well laid out. The game can be played on a table from 2x2 to 4x4, which is good, as it can be played on tables. It does recommend nice dense scenery. The first thing you will need to do to create your warband to play is create your wizard. He is your representative on the table top, and is free to create in warband cost. There are 10 different schools of magic to choose from, all varied, and encompassing many classic archetypes, such as the witch, witchdoctor, elementalist, necromancer, chronomancer, enchanter, illusionist, summoner and more. Each school of magic has 3 other schools considered aligned to it, 5 schools neutral to it, and 3 opposed to it. When you construct your wizard you can pick 3 spells from your own school, one from each of your aligned schools, and 2 from neutral schools. Each school has 8 spells, so with these combinations, you can come up with something tailor made to your style, and the chances are no to wizards will ever be the same. You have a certain amount to spend when setting up your warband, you can spend it on an apprentice to add more magical firepower, which is a suggestion I agree with strongly! Then there is a selection of other troop types, War Hounds, thugs, thieves, trackers, Knights, Barbarians, and many more. So many in fact you can even theme your warband. The way weapons are defined in this, and the types of soldiers you can hire mean you can use many of your existing models to play this game in no time at all. Keep with us for an article all about building your warband coming soon. The game uses a D20 system, which is different for this sort of game, and I like it, adds more variables in. The wizard gets to go first, he is the focus of the warband after all, you can activate him and up to 3 soldiers within 3" of him. Then the secondary player does the same. The apprentice phase is the same as above, primary player first, then secondary player. Then the soldier phase you can activate any of your soldiers that have not gone yet, and the same with the secondary player. Models have a few stats to keep a track of..... usually the higher they are the better. movement, expressed in inches, Fight which is a 0 or a number with a plus, +2, +3 etc. Shooting, which is the same sort. Armour which is a number again, willpower which is a plus number, and health. In a fight both figures roll a d20 and add their fight value to it. So we have a Thug who has a fight of +2 against a Knight who has a fight of +4 The thug roles a 6 on his d20 and adds his fight to that for a total of 10. The Knight rolls a 12 and adds his fight for a total of 16. The knight has more so he wins. The Knight then subtracts the thugs armour from the Knights total roll. The thug has an armour of 10 so takes 6 damage from his health. Shooting works in the same way, though with modifiers for cover. I like to think of it as the opponents ability to hide or dodge against the archers aim. It is a nice change to the roll to hit, roll to wound technique, as the higher you roll to hit, the more damage it can potentially do implying a more accurate shot. There is a nice rule about rolling natural 20s for critical hits doing double damage which can lead to great story telling moments! Its a simple yet elegant system when used, and keeps the game fast and frantic. Weapons can alter the effects adding a plus or a minus depending. There are rules for when a model is reduced to 4 wounds or less and is considered wounded. they have a minus 2 to all rolls, and can only do one action. A nice touch. Being all about the Wizards spellcasting is an important part of the game, and with the amount of spells it should be! Casting works in the same way, roll a d20, if you get equal or more then the casting value it goes off. If you roll less bad things can happen! depending on the amount you fail by you can damage yourself. You can also empower and boost your spells by swapping a health for a number to boost, q health for a 1 on the dice roll etc, so if you fail you can spend health to get it off. I imagine the wizard straining hard to control the magical energies. There is treasure to collect in the streets, dictated by the scenarios, and creatures roam the ruins too making the fights not just against the enemy warband. I like that it adds something else to think about. The normal winner of a standard game is the last warband standing, and all treasure and experience gets dished out for the campaign phase to upgrade your characters and spend on goodies. The campaign is one of the best parts of this game, following your wizard and his soldiers through their adventures in the ruined city. In a campaign game when your soldiers and heroes reach 0 health in battle they are out of action, and you roll on the charts at the end to see if they live, are wounded, or fully recover. Permanent injuries can continue through the whole campaign, like smashed toes, blind in an eye, psychological scars, all sorts of things that add to your character, and all gained with a story. Certain activities in battle grant your wizard experience that he can spend. Every 100 points of experience give him a level, and for each level he reaches he can increase a stat, fight, willpower, shoot, or health. he can also improve a known spell making it easier to cast, or learn a new one, again adding to the customisation of your wizard, you can make him adept at spells he knows, or a walking spellbook full of spells for each situation. When you find treasure in the game world it can be gold, that is spent on upgrades and men, or perhaps something else, an artefact like a Grimoire, a potion, or a magic weapon or item. There is a nice detailed section in the book on all the items you can find. You can spend your gold on new recruits, or upgrade gear in between battles. Or your base. Yes you actually get a base of operations, you pick between a selection and each one gives you a specific bonus. You can then add upgrades to your base that provide all sorts of in game bonuses for you and your warband. As the campaign progresses you can improve your base to provide all sorts of goodies. There are 10 scenarios in the book, you roll at the start of the game to see which one you will play. The book covers any special rules and set ups for each scenarios and the rewards available, with a nice bit of backstory behind each one. There is also a large bestiary in the book for random encounters which features an impressive array of creatures. Skeletons, rats, wolves, zombies, bears, trolls, demons, so many different types of creatures all adding the potential to mess up your day. At the back of the book is a set of spell cards, and the roster sheets. These can also be downloaded from the Osprey site. All in all this book contains everything you need to build your warband, play a long campaign and have a great time with it. Its a fantastic looking book, the artwork is beautiful, and it is full of stunning painted models from the northstar range created from this game take a look here and would be a fine addition to any gaming shelf. However, the game contained in this book looks far too good for it to just sit on your shelf, it has an elegant play system, that is simple to grasp but with all the combinations available hard to master, and a deep campaign system to keep you and your group gaming for a long time. The rules are clear and well written, and the book follows a logical path making it easy to read and simple to refer to. I can not recommend this game highly enough, it gives enough details about the city, but not the world to allow all sorts of great combinations of models to be used in it, create and theme your own warband and wizard to your taste. Tailor him specifically from many combinations to your own tastes. Mordheim has always been my go to skirmish campaign game, and nothing has come close in all its time. Frostgrave however topples it! and with the promise of more expansions to come it looks to become THE fantasy skirmish campaign game, and rightly so. Osprey and Joseph McCullough have put great work into this. Go to Osprey and get your pre order here It is a must have for any fantasy gamer. Stay with us here for more articles on Frostgrave. Check out the link for lots of nice pictures! I'm starting to get the feeling Alpharius is keen on this. This game is perfect for me these days - small scale skirmish and campaign based? Total is now over £21K - and still no update!!! They really need to put out the next goal before Alph implodes. Yes, I would appreciate that. Plus there's not much 'today' left for them! I've been watching this game from a distance for some time now. I've been extremely happy with the other Osprey Wargames I've purchased and though I'm a dedicated Song of Blades and Heroes player, this will probably come my way at some point. Unfortunately for the nickstarter, I'll probably just grab it at my FLGS or Amazon as I've already got enough random fantasy characters and henchmen minis to to keep me going for a long time. Yesterday is gone, and tomorrow is today - anyone have any updates on the new spend goal and/or the new plastic sprue? Two specialist Frostgrave Soldiers we haven't made in metal are the Treasure Hunter and the Ranger. That's because we knew you could make both of them from the plastic Frostgrave Soldier box set. Kev has been playing with the test frame figures, and here they are! Wow, they're really dropping the ball on this next reveal. They're active enough on Facebook too. The next spend goal is coming soon.There has been some back and forth between me, Osprey, and North Star to get it sorted. Hopefully, everyone will like it. As far as I know, the second box of plastics will not be part of this campaign. They are being designed to work in conjunction with the first supplement. Indeed - thanks for the update! Now that I know the second box of plastics isn't coming this time around, I can figure out what I'm going to spend...this time around! 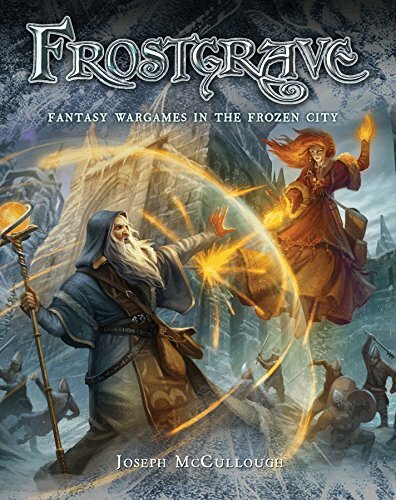 We can now reveal the final author list for 'Frostgrave: Tales of the Frozen City! In no particular order - Jonathan Green, Ben Counter, Sarah Newton, Graeme Davis, David A McIntee, Matt Ward, M Harold Page, Mark Latham, M J Dougherty, Karen McCullough, & Duncan Molloy. Some...interesting (!) names on there! Can't wait for the update... And this game! Finally I'll have a use for my thousands of dollars of dwarvenite Dwarven Forge dungeon and cavern tiles... They're gonna make some sweet ruined city boards! I really like the doggy. Yeah, that's the name I thought would get the most...discussion. Hmmm I just read the rules review and I have to say that they sound very fun. Campaign system looks like a blast for a group of gamers to play through together. Very cool plastics too.Keep up the good work guys. The dog is definitely very cool, but does it really stand as big as a small horse? The photo on the NS page makes it look bigger than any breed of dogs in real life... Maybe these are dire dogs... But I'm hoping it's only waist high or so to the models! Knowing nothing about Matt Ward, can you summarize? Is he a sculptor? That is exactly what they are. Well, if it is the "Mat Ward" that used to work for GW as a writer and games developer, well, he's a rather polarizing figure, to say the least. Still no updated "Spend Goal"...goal. We'll be including Renedra Ltd round 25mm bases in with the Frostgrave Soldiers box set. If you're looking to base the rest of your collection the same, these are the bases to buy. It's a pre-order through their website where the more pre-orders they get, the more stuff they give you and open up for purchase. Ah, I figured, but that helps . Thanks! The official release date for Frostgrave is the 20th of July 2015. With our Nickstarter pre-order program, we are offering you the opportunity to not only get your Frostgrave book and figures early, but to get some unique free and limited edition pieces with your order. We have five deals available in our Nickstarter, which we’ve named Wizard Levels. The Nickstarter Pre-order program ends June 29th 2015. We will charge you straight away for any Nickstarter order, with delivery time expected July 2015. If at any time you change your mind before the shipping date, we will refund you immediately, even if it’s just part of the order. Also, if you make a small order, then choose to add more later, we’ll make sure you are only charged the right amount including postage and that you get all the free Nickstarter figures. Kinda like a Kickstarter where you aren't giving up anything in fees, beyond what you normally pay in order to process credit cards and such. Hey Guys, the new spend goal is up, sorry about the delay. The biggest difference between the Nickstarter and and a Kickstarter - it's not crowd funding. Northstar and Osprey have already paid for everything. Almost all of it already exists. It is really just a pre-order program with incentives. With Northstar you are getting a refund guarantee and you have all of your rights as a consumer ordering a product. The latest incentive involves a little more work by me, but I'm happy to do it, to hopefully make the Nickstarter more fun and exciting. As concerns Tales from the Frozen City - I read all of the stories in the collection. In a few I had to ask for corrections or changes to make sure that they didn't clash or contradict the established setting. I think Matt Ward has written a fun little tale, which really embraces the setting and certainly meets with my approval. All of that said, I have tried to keep Frostgrave as a pretty open setting to leave players free to make up their own stories. Every Level 3,4 & 5 Wizard will receive a free metal model of a new Templar figure. Here's hoping that we hit those new targets! Oh...that's a VERY nice idea! I might have to get some of these too - they'd work perfectly for a Frostgrave table! Do we know the table size for a game of Frostgrave yet? 3' x 3' or 4' x 4', I'm thinking? I get the idea it'll be in that ballpark. 4x4 seems to be the standard lately for games. Especially skirmish/warband ones, though 3x3 has had a few too. I'd be surprised if it was anything else. I see Alpharius is doing a fine job with posting the updates. £30,000 and £40,000 are hefty goals. Hope they get hit! The dog's head is really off. It's disturbing me. 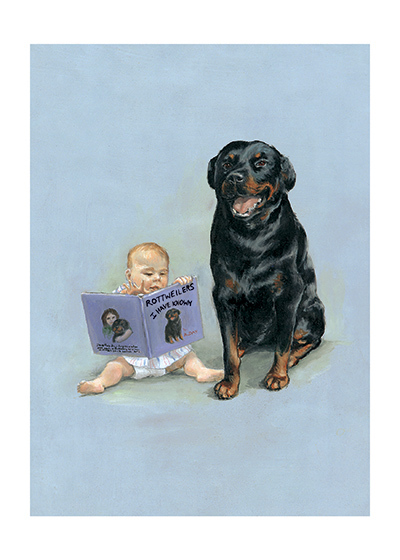 Rotties have much larger, broader heads in relation to their bodies. They also don't have that cartoonish cranium and stubby puppy muzzle. That sculpt looks like a golden retriever puppy's head on a rottie's body. Dogs don't need cartoony faces to be cute. Automatically Appended Next Post:The dog's body looks good, though. Better than most dog minis turn out. I really want to be able to field a nice assortment of doggies. I believe that 3'x3' is going to be the recommended size, but the designer has said that there's no default size. Smaller tables make a shorter, bloodier game, larger tables can take longer but tend to make the wizards more powerful. One of the battle reports was played on a 2x2. I can't wait to get this book and get to work on a 4x4 table. Would it be blasphemy to start with some never used WHFB models? My group collected some in the hopes of writing our own skirmish rules, but browsing through the review of Frostgrave has convinced me to just by that instead. Though our rules have been put in limbo, the generic world we created has yet to be abandoned so I figure we will just adapt it. I like some of the models and will mess around with the plastic soldier sprue. But i also have tons of oddball minis that are dying to have their time on the table and this game looks perfect to try them all out. How Flexible is the unit creation mechanic? I've got alot of figs that would fit the style of the figs that have been shown. However, I've also got some cool anthropomorphic animal figs on the way that might want to explore the frozen city. If we end up playing, that's likely similar to how our club will do it. We've been playing fantasy skirmish (Song of Blades, etc) for about 5 years now and have painted alot of warbands so there's probably not a member of the club that doesn't already have all or nearly all the minis necessary to form a Frostgrave warband. To be sure, the figs do look cool, in a classic Foundry/GW/Grenadier/Copplestone way (I mean that as a good thing) and the plastic kit is tempting but I've got a mountain of fantasy lead to paint my way through before I buy any figs that replicate subject matter that's already in my collection. No problem using Warhammer figures (except there is no gunpowder in Frostgrave). In fact, the rules were written before I knew that there would be dedicated figures, so the game was written to be played with figures that were already available. Ice Toad. These large, slow amphibious creatures have devastatingly powerful jaws, but are otherwise weak. Generally it is just best to avoid them, but can be an Animal Companion. Animal companions may not collect treasure or carry items. They are subject to other wizards casting control animal A wizard may have up to two animal companions in his warband at any one time. Looks better than the original picture lead me to believe! More painted stuff that looks a lot better painted than in the bare metal previews! Medium Construct. Constructs are artificially created objects that have been imbued with a magical semblance of life. Most commonly they are made in the shape of humans and in such cases are generally called golems. Medium Construct are constructs that are around human size and generally are human shape. Is there a solo mode? And a multi-players mode? Or is it only two-players? Is there more details about the rules somewhere (not the full rulebook of course), and how the game works? Flesh Golem Medium Construct. These are constructs that are around human size and generally are human shape. Constructs are artificially created objects that have been imbued with a magical semblance of life. Most commonly they are made in the shape of humans and in such cases are generally called golems. The game can handle multiple players. More than four might start to get a little messy, but no more so than most wargames. There are no specific solo rules. However, I don't think it would be too hard to work some up. All of the monsters are controlled by simple sets of instructions, so you could go on a 'solo monster hunt'. All of our terrain is made for WW2 spring/summer with the exception of a few GW fantasy pieces and some generic 28mm fences and farms. I don't know if our adventures will make it to the frozen city but we will have a hell of a set up for an equally mysterious forest region near by. Have you created a world map or is it primarily focused on the city of Frostgrave at the moment? As for GW models I have some orcs based for skirmishing and I see no problem in just porting them to the existing henchmen list according to their weapons and armour. Boy with sword and shield equals man at arms and so forth. I'm really excited about a lot of the features of this book. Think I'll head over and preorder now. Edit: I take that back. I have a 3x4 table piece set for generic urban. With a little work it could become a snowy fantasy setting too. Getting more and more excited for this one - way more than I am for the "Age of Sigmar", whatever that is! The first painted Frostgrave plastics in the world. North Star's Mark Wheatley's Necromancer Warband. That Necromancer warband pleases me greatly. Love those plastics. I'm thinking Night's Watch! I don't think the 'spend total' gets updated on the weekends, but it is currently just a tick under £30K, and with the 'early bird' deadline of the 15th being tomorrow, I'd bet that £30K spend goal has been reached! Hmm, I just jumped onboard this morning and purchased the Level 3 Wizard package. However, I haven't gotten a confirmation email or anything, so now I'm slightly concerned that it didn't go through. How did things play out when you guys pledged? Someone noted earlier that the Nickstarter didn't take the money straight away, maybe a few days later? Not sure exactly how they'll know when you pledged if you didn't receive anything but it is a Sunday, so maybe just ping them tomorrow? North Star don't have an automatic email when you place an order. You will probably get an email tomorrow or the day after - saying thank you and giving you the link for buying extras. Funds might not be taken for a few days - at least mine weren't taken straight away. I wouldn't worry. Ah, OK, cool. Thanks guys! It took me two days until I received a confirmation e-mail. I ordered through the USA side via Brigade and got a confirmation e-mail immediately. just ordered a level 3 from brigade games with a few extras, went smoothly can't wait! Personally I want to know what Alpharius thinks of July. Isn't that when all this awesome Frostgrave stuff will ship out too? which has been the total since Friday, I think. Which I know isn't accurate since I jumped on since then! Also, Nickstarter total now at £32983.82! Did I read somewhere that this will be available at Historicon? I actually am still not sure if I'm in on this or not. Still no confirmation email or reply to a query I sent. I know I'm in via Brigade and have actually already had a few back and forth e-mails as I attempt to add a few more things on to my order. Apparently Northstar have been having some troubles with email and spam. Too many emails with Frostgrave as the subject I guess. If you can, you might contact them through Facebook. The game will be available at Historicon, and, hopefully, I'll be there Fri-Sun running little demos. Alright, I've reached out to them on Facebook, thanks for the tip on that! Nickstarter total now at £33976! 11 days left to go! The free Lectern released by Spend Goal 5 in the Nickstarter. Today we shipped the first run of the Northstar/Osprey Frostgrave Soldier plastic frames to Northstar Figures - although Northstar is one of the biggest distributors for our customers products and Nick is a great guy to do business with, this is the first plastic project we have been commissioned to do for them, and we wish them all the best with the launch of Frostgrave. Check out the Nickstarter page at Northstar for more details and the pre-order offers. Sergeant Hedgehog is delighted with the first frames of Frostgrave Soldiers, arrived today! I'm really excited for this one - and really excited to know that it is all going to ship in July...of 2015!!! The Nickstarter is now at £34,122! We are moving into the final week of the Nickstarter Pre-order program for Frostgrave. We'll be switching off the webpage at about 10 am BST 29th June. Then we'll be putting the components together and shipping out to backers early July. Note the game and figures will be officially released on the 20th of July, so if you're not joining us in the Nickstarter, you won't have too long to wait. No freebies though. Will I get this quicker form direct or or at historicon? There probably isn't a lot in it. You might get it a few days earlier by ordering, but I don't think anyone can say at this point. If you are after is the book, I'd probably wait and pick it up at Historicon at this point. For those that have ordered from Northstar, but haven't gotten the link to the extras page, Northstar has posted it on their Facebook: go to this link: http://www.northstarfigures.com/enter_code.php type in code: ILOVEFROST and you'll see the order page. Note - they will only except orders on this page from people who have already ordered a wizard level. Hope this hits the £40,000 mark, the extra Templar model would be nice - especially as I have added too many extras! About a week left to go - £40K is a possibility! While minor demons also come in an infinite number of forms, there are definite species of minor demon. Probably the most common look like gargoyles. They are about human sized, but tend to walk hunched over, sometimes using their hands to walk. Another common form is something like a satyr, with the top half of a human, usually with horns, and the bottom half of an animal, generally a goat, pig, or snake. New Nickstarter spend total: £34,426! Got a review copy of the book in. It looks pretty awesome...especially the effort put into the campaign setting. Looking forward to playing some games this week! Are you under NDA or can you give us some insights?